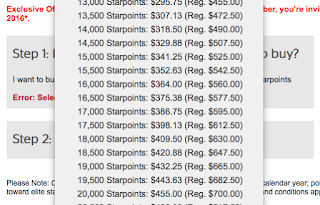 SPG is out with their most lucrative "buy points" promotion of all time. The best you can do with the promotion is 50% off which is an incredible deal. To determine your discount, you'll need to head to this page and enter your name, email address, and SPG number. 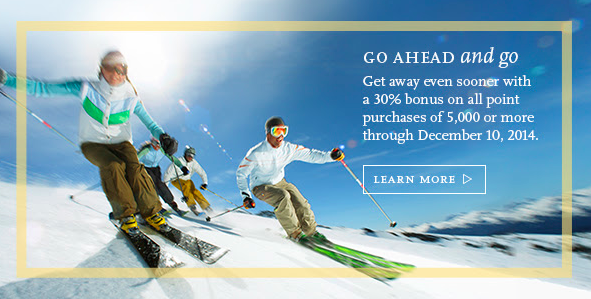 Note that the promotion runs through 12/31/16 and you may buy up to 30,000 SPG points per calendar year. 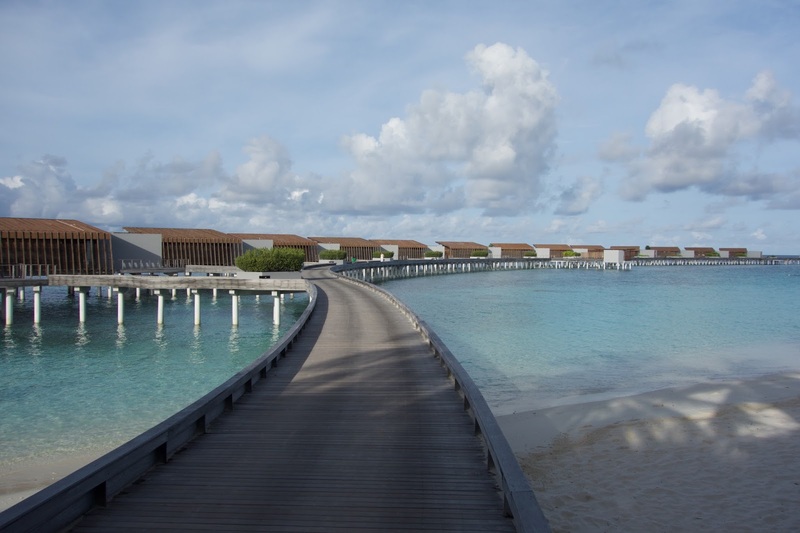 You must buy at least 5,000 SPG points to receive the bonus. I was targeted for 35% off and Emily 25% off so unfortunately, I'm not a buyer at those prices. At 50% off, you can buy up to 30,000 SPG points for $525. 30,000 SPG points will convert to 90,000 Marriott points or 37,500 airline miles of your choice assuming you have another 10,000 SPG points (total of 40,000) to convert into 50,000 airline miles. That is 1.4 cents per airline mile - about as cheap as you're ever going to be able to acquire via a miles purchase. Given the 30,000 point limit, it's hard to scale this deal. Even so, I would speculatively buy at 1.4 cents each if I had received the offer. 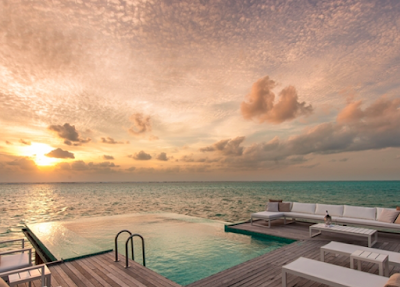 As a reminder, today is the last day to purchase Hyatt Gold Passport points at a 40% discount. This could be a fairly lucrative offer if you also hold the Chase Hyatt Visa card. You can buy up to 55,000 points (the maximum you can purchase in a calendar year) which will give you a bonus of 22,000 points for a total of 77,000. Out of pocket cost will be $1,320. That brings the cost down to 1.71 cents per point. Hyatt is currently running a 10% off sale on award redemptions for those that hold the Chase Hyatt Visa card. Buying miles can be a great way to acquire the incremental miles required for an award. In that sense, they can unlock a ton of value"given that without the purchase of incremental miles, you'd be unable to redeem for the desired award ticket. In planning our upcoming trip, we were short 1,500 United miles to book the final segment. While I could have easily transferred 2,000 (you can only transfer in increments of 1,000) Chase Ultimate Rewards points, I opted to buy some extra miles for exactly 2 cents each. United typically sells miles for 3.5 cents plus at 7.5% tax. That amounts to 3.76 cents per mile. United's pretty much always having a sale on miles including right now. The sale is tiered and you can bring down the cost from 3.76 cents a mile to 1.88 cents a mile by buying 150,000 miles for $2,821. Starwood is currently selling Starwood Preferred Guest points at a steep discount. 35% to be exact. But only to American Express SPG cardmembers. This is the biggest discount on the price of points in a long time (maybe ever). For context, last year they were selling points at a 25% discount. Given that Starwood provides the ability to transfer SPG points to airline miles at a 1.25:1 ratio (for most programs, you can essentially buy airline miles through this sale for ~1.82 cents each. While that is a great deal, I wouldn't purchase points to use for hotels or flights speculatively. However, this can be a great way to top off an account. Starwood ordinarily sells points for 3.5 cents so with the discount they are going for 2.28 cents per point. Keep in mind you can only buy 30,000 points in a calendar year. That makes the cost of 30,000 points $682.50. 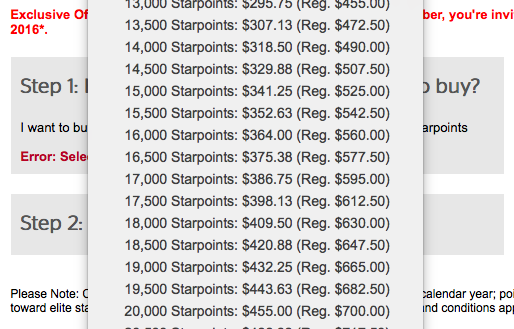 While you may be able to get north of $700 value out of 30,000 points, you may actually get more value out of purchasing the points and transferring them to an airline partner in order to redeem for a premium cabin award as 1.82 cents is well below the cost that airlines typically sell miles. Here is the direct link to the promotion. If you haven't read my primer on buying points/miles, check it out here. If you are interested in signing up for the American Express SPG card (personal or business) I'd be happy to send you a referral - feel free to shoot me an email. It seems like every major loyalty program is selling miles at a discount this month. 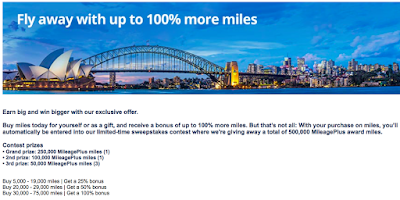 While I wouldn't speculatively purchase miles/points here (especially given the recent rash of mergers/devaluations) it's worth a look if you are a few miles (or a few thousand) short of an award. Availability is often tight and buying miles in a pinch can help you lock in an airline or hotel award without waiting as most purchased points post instantly. Alaska Airlines is selling miles at a pretty significant discount through 12/23/15. The sale is actually a "mystery" sale where you enter your Mileage Plan number and either receive a 35%, 40%, or 50% offer. My account was targeted for the 40% bonus which brings the cost (if you purchased the maximum 60,000 miles) down to 1.97 cents per mile. 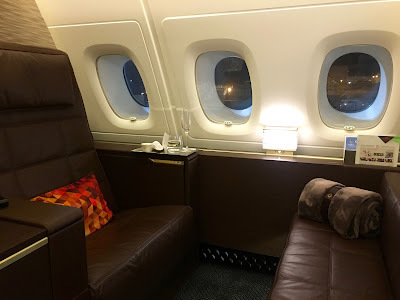 While I wouldn't speculatively purchase a big chunk of Alaska miles, if you are looking to book a premium cabin award on either Cathay Pacific or Emirates, this would be a great way to top up your account. I actually purchased a handful of Alaska miles during the last sale in order to top up my account and book our Emirates first class flights to the Maldives. I booked those flights for 90,000 miles each way per person. Through this promotion, you can get pretty close to that amount for $1,650 + tax. While you are limited to 60,000 (used to be 40,000) miles per transaction, there's no limit to the number of transactions you can make. If you (hypothetically) had 0 Alaska Mileage Plan miles and wanted a roundtrip Emirates first class ticket to the Maldives, that would cost you 180,000 total miles and about $40 in fees. If you were targeted for the 50% bonus, you could make 2 transactions for a total of $3,546 and purchase the 180,000 miles needed for the roundtrip award. While I certainly would prefer to earn miles in other ways, this approach would still dramatically reduce the cost of something VERY expensive. $3,546 is still a lot cheaper than nearly $22,000!!!! 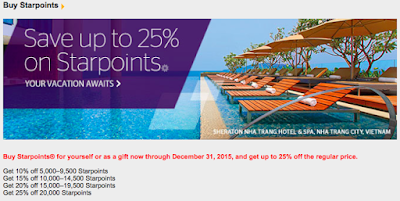 Through May 31st, Starwood is selling SPG points at (up to) a 25% discount. If you haven't read my getting started post on buying points and miles, start here. While not the best deal in the world, the 20,000+ purchase block brings the total cost down to ~2.6 cents. Although SPG points are tough to acquire, they do run this promotion a handful of times each year (I have taken advantage of it in the past). 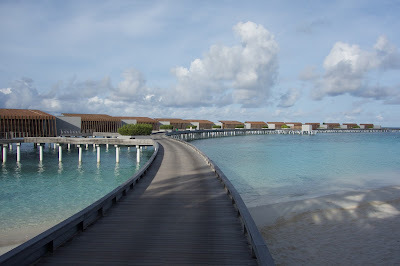 It is pretty easy to get more value out of SPG points than that. For example, we're headed to The Phoenician in Scottsdale in a couple of weeks. Our room (booked prior to SPG category change) cost 12,000 SPG points and at the time of booking, was selling for over $500 AI. That's well over 4 cents a point. I wouldn't speculatively buy these points but if you are headed on a trip and have enough points for 3 nights and want to go for 5, purchasing enough points to get the 4th for free would also get you the 5th. Remember - Starwood gives the 5th night free on award redemptions. So from that perspective, you would get a lot for your money. Continuing on the theme of American this morning, AA is offering a substantial bonus on purchased miles through 4/30. If you aren't familiar with purchasing miles direct from airlines, read this post. 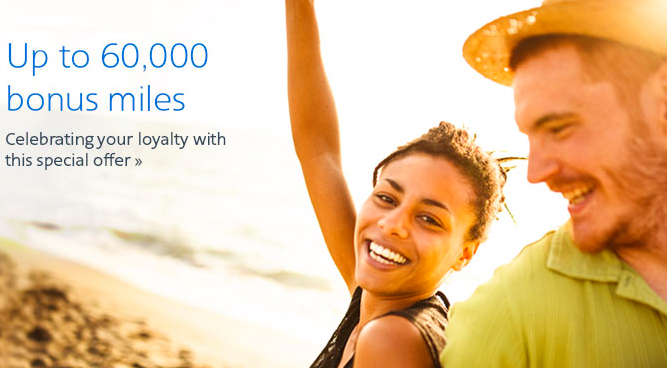 If you max out the promotion (100,000 miles) you will receive a bonus of 60,000 additional miles. The total cost (including taxes and fees) comes to $3,201.25. Through the promotion, you're able to buy miles for 2 cents each. That is the best deal I've seen in a long time. So how could you leverage this promotion? 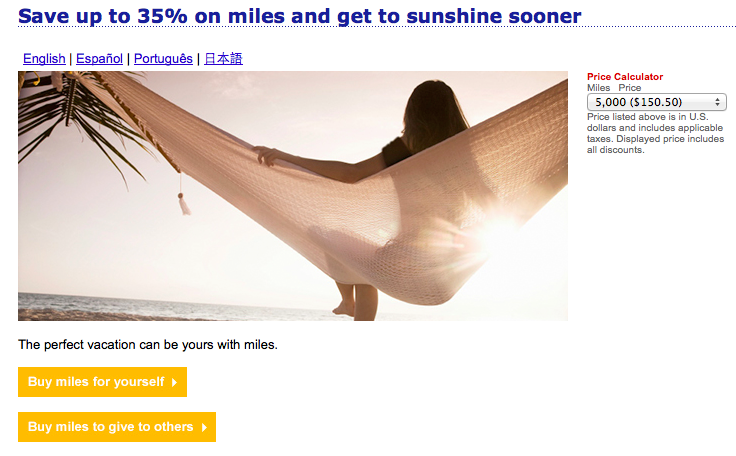 Let's say you currently have 110,000 AA miles and you want to fly to Asia. And you want two tickets. You could totally buy two coach tickets on AA or any other carrier. And that would probably cost you about $3,200. Or you could spend $3,200 and max out the current AA miles bonus (which runs through 4/30). You'd have a total of 270,000 AA miles which is enough for two roundtrip first class tickets. You could redeem those AA miles for a first class on Cathay Pacific! Buying miles is an easy (and fast) way to fill in the gaps if you are looking to take a trip and don't have sufficient miles to redeem for the award you want. $3,200 is clearly a lot of money but if you were going to spend the cash on coach tickets, you might as well fly in style. 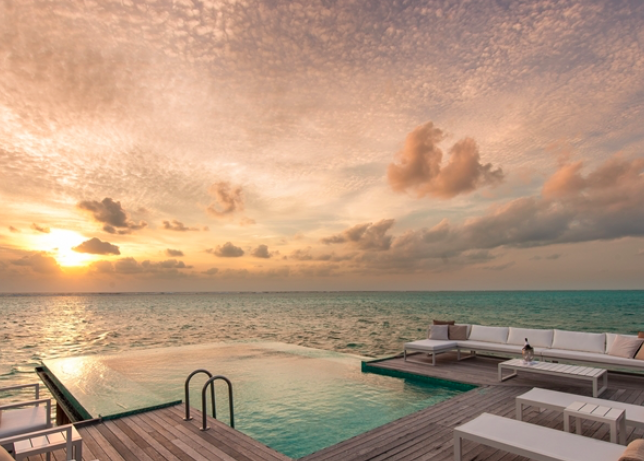 Hyatt is currently selling points at a 30% discount when you buy 5,000 or more points. This brings the cost down to around 1.85 cents per point. I wouldn't "speculatively" buy points at this price but if you are looking to book award travel for the holidays or 2015 this could be a good use of points. I recently purchased 1,000 points recently to top off my account for an award at 2.4 cents a point. Hyatt's sold points at a 40% discount so if you don't need the top off immediately, you might as well wait. If you're new to the miles and points world, read this getting started post on the benefits of purchasing miles. United is offering miles at a discount again...this time up to 35% off for purchases above 25,000 miles. The minimum purchase is 5,000 miles. Generally, I don't recommend buying miles for the sake of buying them but if you are close to an award, it can be a great strategy. Check out this post for more background. This isn't the best deal considering United sold miles at a 40% discount in April. I won't be taking advantage of this deal but if you are close to an award, you might as well pull the trigger to get the bonus and push you over the edge. The deal lasts through May 19th (Sunday). United & Starwood are both selling miles at a discount this week. If you're been reading my blog, you know I am pretty loyal to both brands. 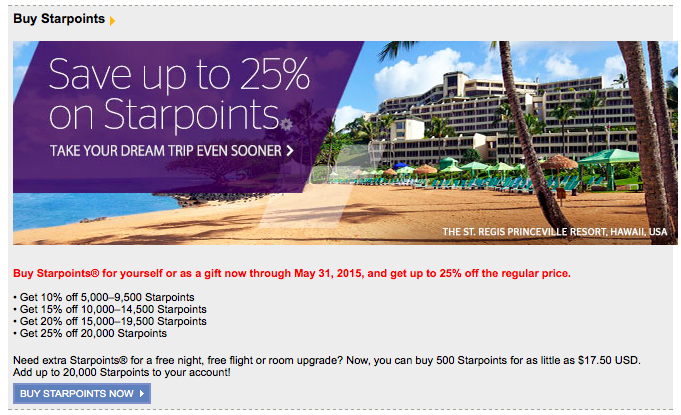 Starwood will sell you up to 20,000 SPG points at a 25% discount through May 31st while United will sell you miles at a 30% discount when you purchase more than 12,000 through April 23rd. I don't think either of these are especially good deals but if you are close to an award, the "marginal" value gained by buying a few thousands miles/points can be pretty huge. You can read my primer on buying miles here. United is selling miles at a 40% discount perhaps reacting to American's 40% mileage bonus from last week. Buying miles is a great way to top off an account for an award and since many of you are probably planning travel for this summer, it might make sense to pull the trigger during the sale. For a primer on buying miles, read this post. The sale ends 2/17/14 and you have to purchase 40,000 miles to get the 40% bonus. The 40,000 miles will run you $903 and is enough to redeem for a one way first class ticket between Australia and Asia. So not a bad deal if you have a specific redemption in mind. In one of my first getting started posts, I provided an overview of how buying miles direct from an airline can be a useful tool. To that end, American Airlines is offering a substantial discount on purchased miles selling them at about 2 cents each. This is the cheapest I've seen them offered in a long time. Keep in mind, you can only (at the moment) buy 80,000 AA miles per year per account. To put it in perspective, you can fly one-way to Hong Kong in first class on Cathay Pacific for 67,500 miles. You can essentially "buy" that fare for $1,350 by purchasing miles during this promotion which is way cheaper than the $4,000+ the ticket would retail for. I wouldn't recommend purchasing miles just for fun but if you are close to an award, this is an easy way to get there. I will be taking advantage of this promotion (purchasing around 20,000 miles) so I can book an award for later in the year.